Protects Your Pc With Advanced Security Features At An Affordable Price. Guardian Anti Virus is antivirus software that protects your computers against threats that enter your computer system while browsing the Internet, checking mails, chatting, or downloading software online through unknown sources.It Offers Multiple Layers Of Protection So That Your Pc Remains Secured All The Time. This Security Suite Offers: Antivirus, Anti spyware, Anti-malware, Firewall With Stealth Mode, Auto Hijack Restore, Browsing Protection, Usb Drive Protection, Silent Mode, Boot Time Scan. Browsing Protection helps you and your family to browse the web safely. In addition to protecting you against malicious software and web sites, you can also restrict the type of content that can be viewed by your children. You can also control when and for how long someone is allowed to browse the Internet. Browsing Protection also includes improved banking protection which is like your own personal security guard ensuring your banking transactions are safe and private. It elevates your security settings during your online banking session for extra protection. 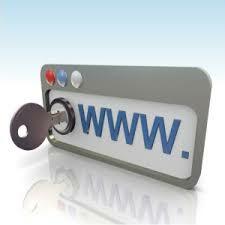 To improve security, many web sites, like Google, have started to encrypt web traffic using HTTPS. This is a good thing and it prevents eavesdropping of a user’s web traffic in public Wi-Fi areas (cafes, airport etc.). Browsing Protection can protect this encrypted traffic in a same way as non-encrypted traffic. For example, when you are searching with Google, you can see security ratings for each of the search results. To enable this, turn on the Browsing Protection browser extension for your browser after installation. The HTTPS protection requires you to turn on the browser extension/plugin for your browser. This feature works currently in IE 7-10, Firefox and Chrome. Spyware is a type of malware that’s hard to detect. It collects information about your surfing habits, browsing history, or personal information (such as credit card numbers), and often uses the Internet to pass this information along to third parties without you knowing. Keyloggers are a type of spyware that monitors your keystrokes. Spyware is often bundled with other software or downloads on file-sharing sites (e.g., sites where you download free music or movies), or is installed when you open an email attachment. Because of the secretive nature of spyware, most people are not aware when spyware is on a computer that’s unprotected by anti-spyware. New and/or unidentifiable icons may appear in the task bar at the bottom of your screen, while searches may result in you being redirected to a different search engine. Random error messages appear when you perform operations that previously worked fine. But the best way to identify if you have been infected is to use a spyware scanner, which will be included in any spyware removal software. Keylogging refers to using software to record everything you type on your keyboard. 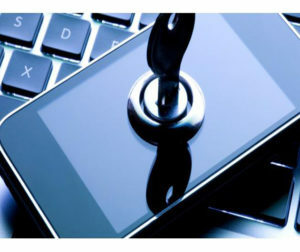 The program then sends the log file to a specified server, where thieves can read any information you type , including passwords, credit card numbers, instant messages, e-mails, e-mail addresses, and website URLs. Keyloggers are a type of activity-monitoring software that is installed on your computer without your knowledge. The most common ways of doing this are through phishing, social engineering, bundling the keylogger with other software or downloads on file-sharing sites or installing it when you open an email attachment. Detecting keyloggers is difficult since they’re designed to stay hidden. But there are some signs to look out for, such as slower than usual web browsing, mouse or keystrokes that “stick” or don’t show up on the screen as what you typed, or getting error screens when loading graphics or web pages. While you could manually try to look for any hidden software buried in your directory and delete it, this would be time-consuming and inefficient. 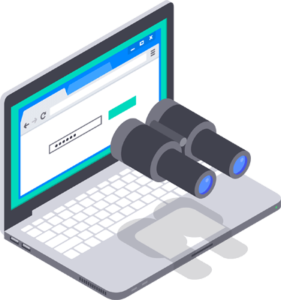 The best way to get rid of keyloggers is to use anti-keylogging software, as found in a strong antivirus and internet security suite, to scan your system for malicious software and remove it for you. It’s a good idea to always protect your logins either by using two-step verification or using a password manager to create and store unbreakable passwords. Since the password manager will automatically input your passwords for you, there’s nothing for a keylogger to record. Finally, you should use a high-quality antivirus program such as Guardian Anti Virus is antivirus to screen for, weed out, and remove any malicious files.